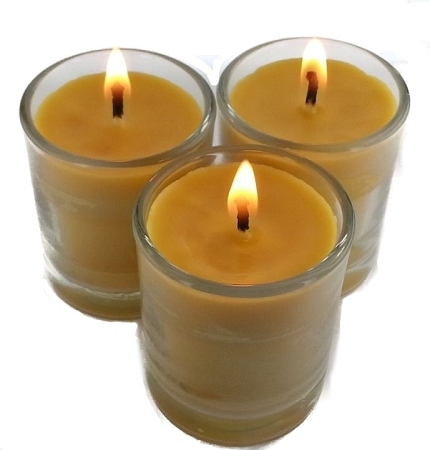 Adorable all natural beeswax candle in a glass votive. This makes a great gift for someone who loves burning candles. These candles give off a warm soft glow and a sweet honey scent that fills the room.